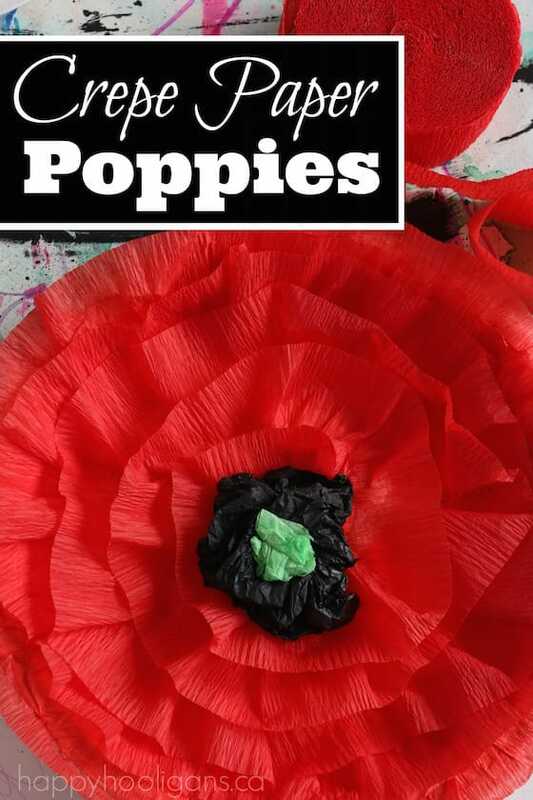 Here are 5 easy poppy crafts for kids to make for Veterans Day and Remembrance Day which falls on November 11th each year, and also for Anzac Day which falls annually on April 25th. 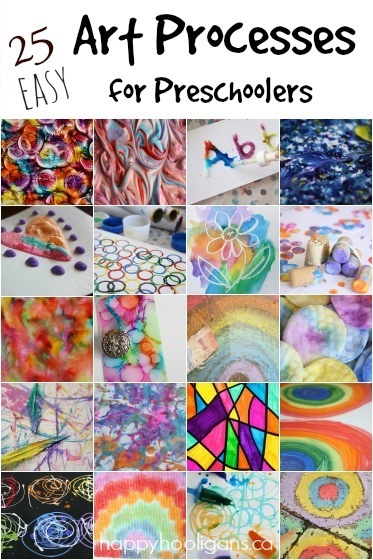 With Halloween over and Christmas still on the horizon, you may be looking for November craft ideas for your kids. 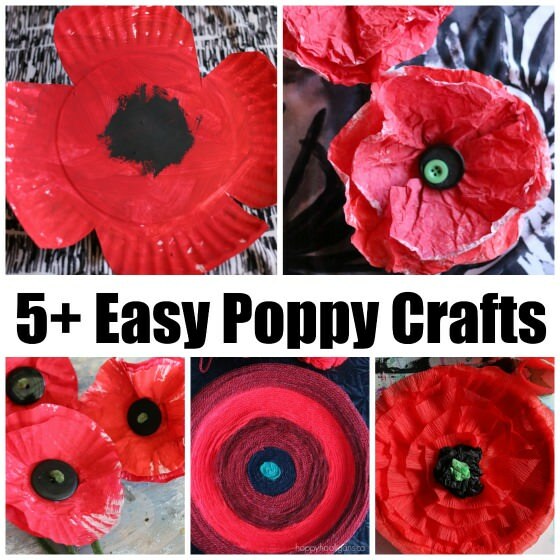 A poppy craft is a great craft for kids to make in the first couple of weeks of November, as we prepare to observe Veterans Day in the US and Remembrance Day in Canada. 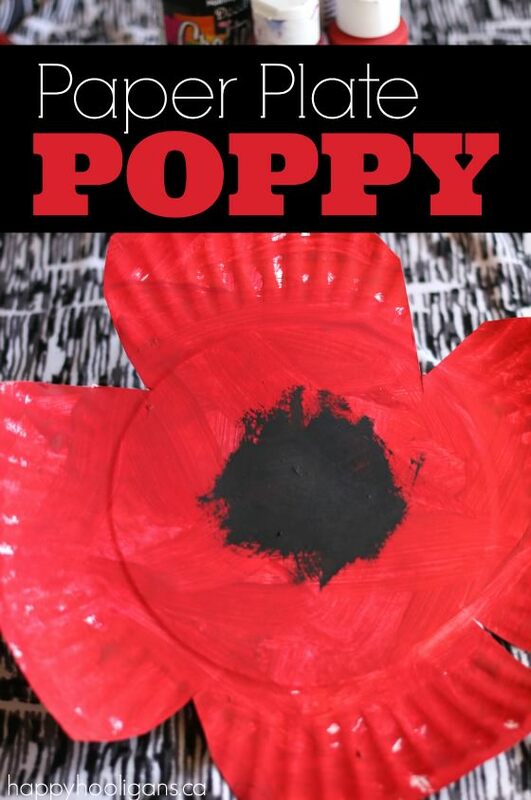 The poppy crafts that we’ve done in the past can be enjoyed by kids of all ages. Our poppies are pretty and creative enough for older kids to enjoy, but most are simple enough for toddlers and preschoolers to make with little assistance. In this post, we’ll show you how to make poppies with inexpensive supplies that you already have around your house, like paper plates, coffee filters, crepe paper and cupcake liners. 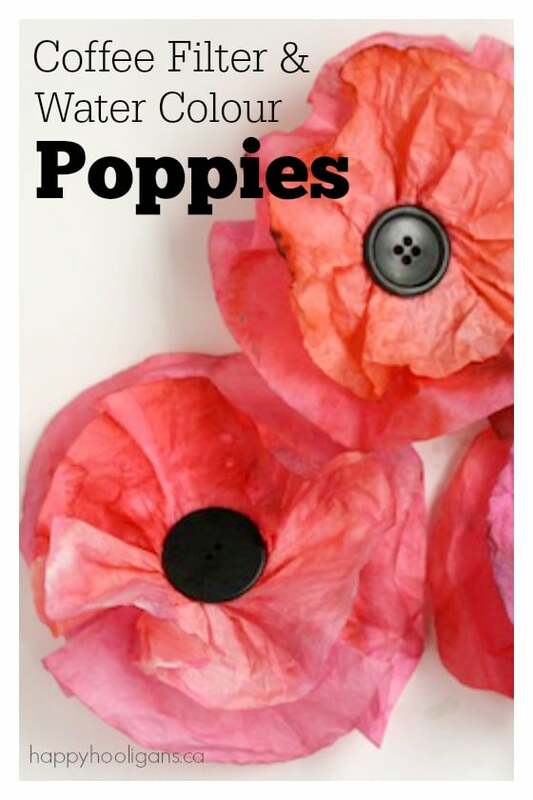 This should make it easy for you to squeeze in a poppy craft with your kids or students before November 11th. 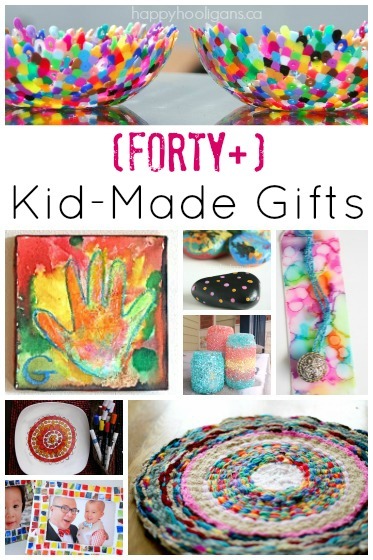 Click the link below each photo to get the details for each craft. Paper Plate Poppies for Toddlers – This easy-to-make poppy craft requires just paint and a paper plate. If you’re looking for a super-simple Remembrance Day craft for toddlers, or for a quick, last-minute poppy craft for older kids, this one is great. 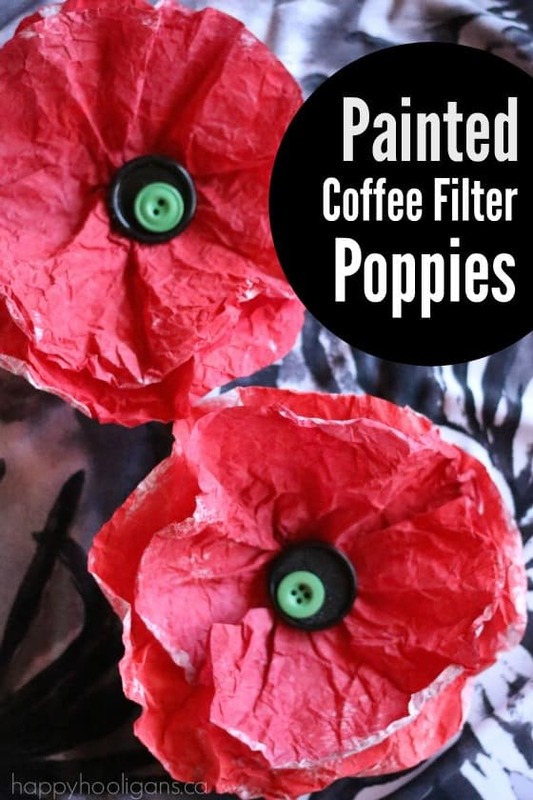 Painted Coffee Filter Poppies – We made these poppies on a whim this year, and I absolutely loved the results. 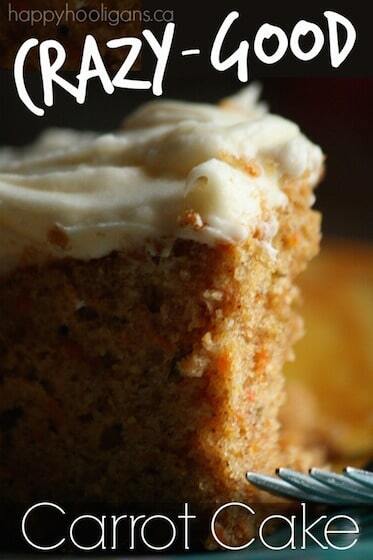 The crinkly, textured effect on the coffee filters really reminds me of real poppy petals. Again, this one is super-easy for young children to make for Remembrance Day, but in all honesty, I enjoyed making these as much as the hooligans did, so older kids are bound to love making these poppies too. Crepe Paper Poppy Craft – We made these poppies after I came across a leftover roll of crepe paper in the craft cupboard. 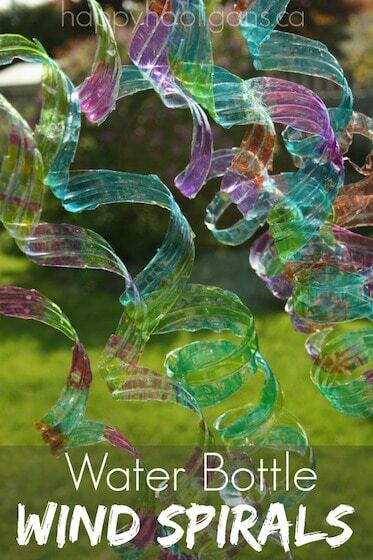 I love the delicate and ruffly effect of the crepe paper. 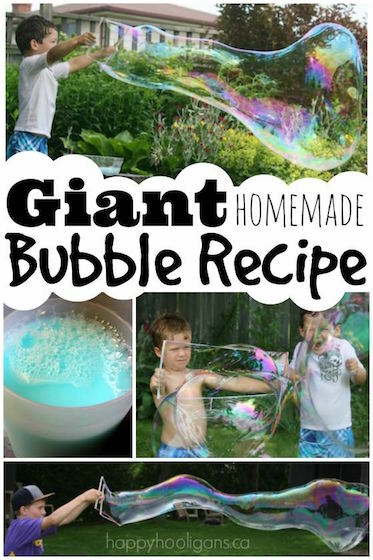 Older children will enjoy making these the way I did in the post, and toddlers and preschoolers can make theirs the way my hooligans did. 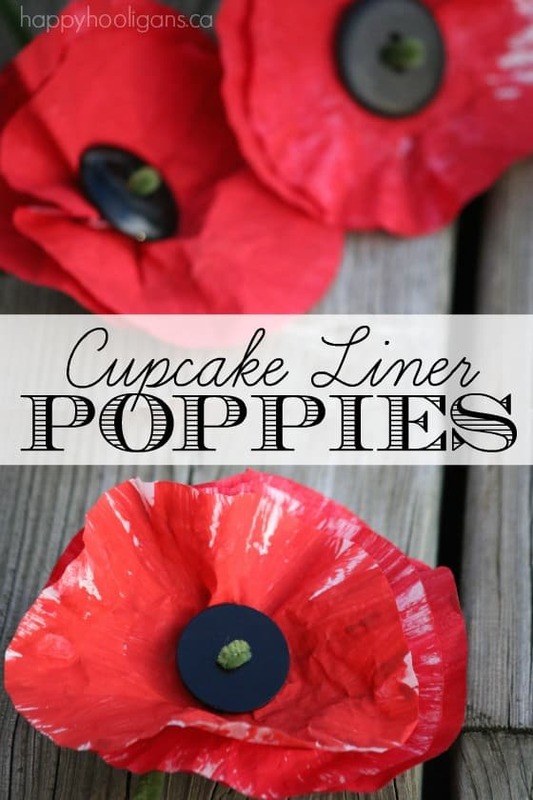 Cupcake Liner Poppies – These poppies were also very easy to make. The process was very similar to our painted coffee filter poppies, but there’s a nice fine-motor element to this one, making it challenging (in a good way) for preschoolers. Watercolour and Coffee Filter Poppy Craft – This poppy craft is a terrific art-science experiment as well. 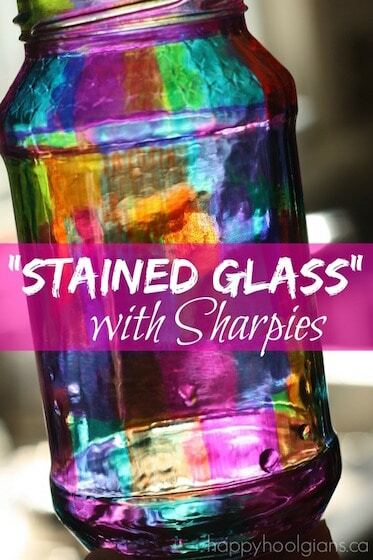 We had a blast exploring colour blending and water absorption one morning, and then we turned the results of our activity into these beauties. 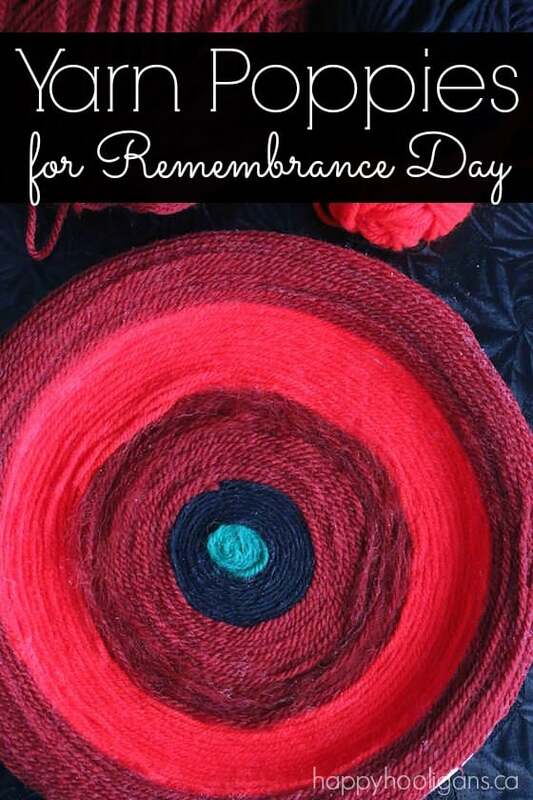 Yarn Winding Poppy Craft – This process is so relaxing and therapeutic. 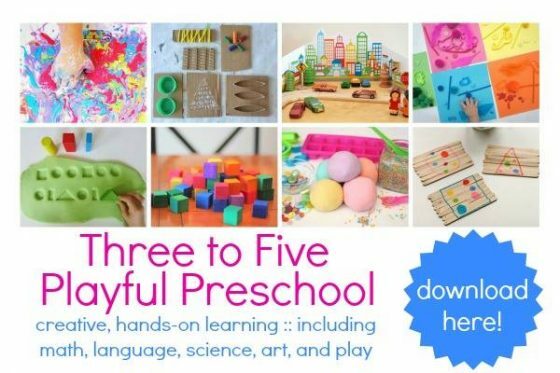 It does require some advanced fine-motor skills, so it’s best for the 5 and up crowd. And lastly, check out these pretty Clay Poppy Bowls by Red Ted Art. Wouldn’t they be lovely to make for a relative who has served our country? 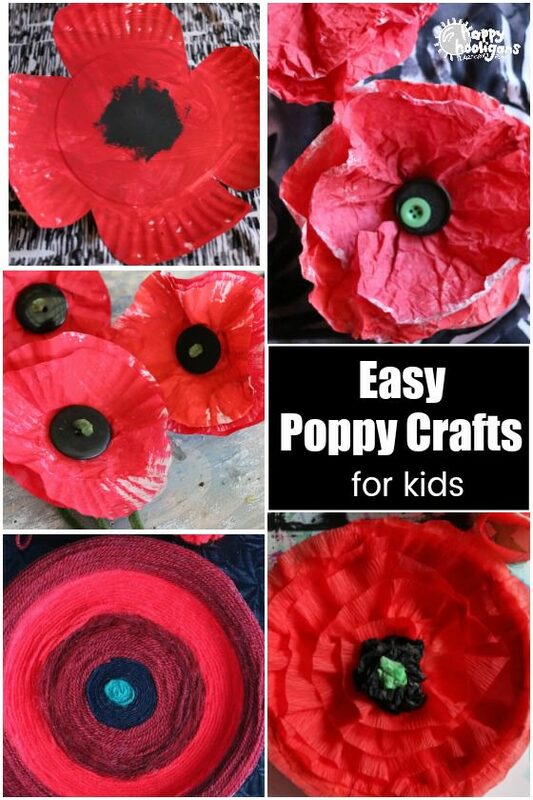 I hope you enjoy this collection of poppy crafts, and that you have enough time to try your favourites with your children in these last few days before Remembrance Day. If you’d like some suggestions on how to talk to young kids about the significance of the poppy, here’s an article by Today’s Parent with some suggestions for explaining Remembrance Day to children.